On January 15, 2005, in a private residence, he recorded this set of eight songs. 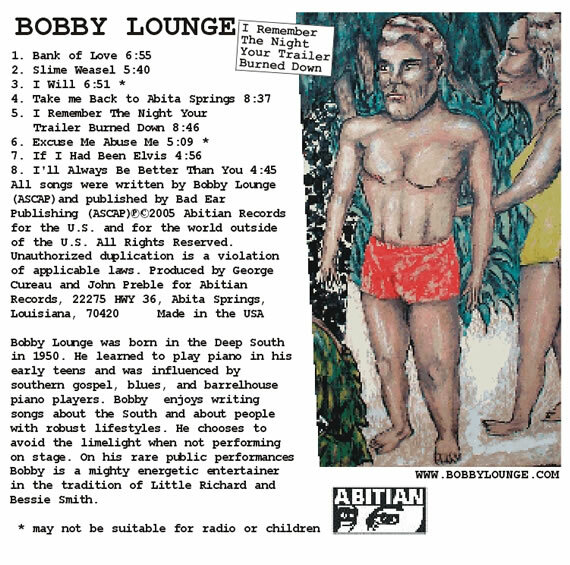 These songs were recorded in “one take” in the same order as they appear on this disk; between songs Bobby took only short breaks. Before this recording session, Bobby had, for the most part, been away from the piano for 15 years. 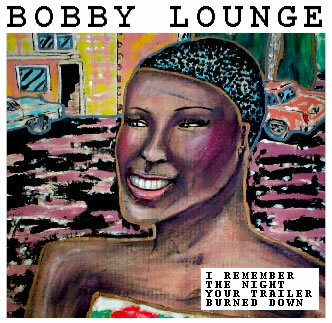 We are offering this disk to the public at the request of the many people who have heard of the genius of Bobby Lounge, but who may not have had a chance to see him perform. This disk was produced by George Cureau and John Preble for Abitian Records. It was recorded at a private residence and mixed by George Cureau of Suitemix Studio, Slidell, Louisiana. It was mastered by MasterDigital, New Orleans.